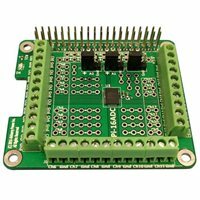 Pi-16ADC is a HAT or board designed for a Raspberry Pi. Pi-16ADC adds sixteen (16) Analog to Digital Converter (ADC) ports. These ports are ideally suited to collect data from analog sensors or other analog devices several times a second. Data resolution for all 16 ports is 16 bits! Sample code in Python with a detailed user manual makes it easy to connect board to a Raspberry Pi. 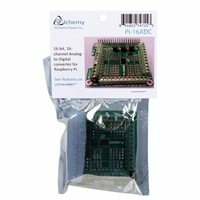 Pi-16ADC adds analog capability to a Raspberry Pi. All communications are over an I2C address if needed. 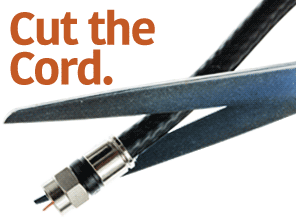 Analog connections are solder-less and additional solder points are provided per channel along with the solderless connections.